November 2011 | Matcor, Inc.
Every ship that passes under the Duluth/Superior harbor lift bridge is a sign of a healthy, working, international port. but for this to exist, requires steel. Nearly 14-miles of underwater metal. Loading facilities, docks and shorelines, the shipping canals; the very foundation of industry here is built on an underwater steel infrastructure. But it’s corroding, and failing. It’s falling victim to an aggressive form of fresh water corrosion. Chad Scott is with an engineering company based in Superior. He first discovered the unique form of corrosion back in 1998 and brought it to the attention of the scientific community. Today, his focus has turned to helping repair the harbor and protect it from further damage. “There were a couple of projects in the harbor we were called to inspect that had already completely failed. They had gotten so thin and with the forces on them, the steel actually bent so you can’t repair it at that point,” Scott said. Replacing all the steel in the harbor would be a monumental task, taking years and costing hundreds of millions of dollars. But does it all have to be replaced? Not necessarily, if the corrosion is caught early enough. It also depends on individual docks. There are some docks that have actually commenced replacement projects and there are other ones that have gone through protective procedures. Good news for the port, because it owns such a large amount of steel shoreline. Last summer they repaired this entire dock line, a $6 million fix. From federal to local, that effort includes UMD’s Biology Department, and Dean Dr. Randall Hicks. Dr. Hicks says it’s a multi-agency battle because there are global implications. Dr. Hicks said we are beginning to understand the problem. But in order to find real, long term solutions, additional research needs to be done. and research takes money. The short term goal is to save the steel that can still be saved. Long term, researchers hope new alloys and materials will be developed for future construction that can stand up to this aggressive corrosion. Divers have been measuring corrosion rates over the last two years, both in and outside the harbor. It’s research that may not only help us, but ports around the world. November 16, 2010 (Doylestown, PA) – MATCOR®, Inc. a full-service provider of proprietary cathodic protection products, systems, and corrosion engineering solutions announced today it has become the proud recipient of two highly regarded awards from the National Safety Council. The two awards were presented to MATCOR at the National Safety Council’s Occupational Awards Ceremony. The two awards were presented to MATCOR at the National Safety Council’s Occupational Awards Ceremony at the Philadelphia Convention Center on Tuesday, November 1, 2011. The first award recognizes MATCOR’s Perfect Record where all units and/or facilities completed a period of at least twelve consecutive months without incurring an occupational injury or illness that resulted in days away from work or death. MATCOR earned the award by working in excess of 293,030 employee hours. As a result of earning the Perfect Record Award, MATCOR was recognized with another award for Exceptional Safety Performance in the Workplace. The National Safety Council saves lives by preventing injuries and deaths at work, in homes and communities, and on the roads through leadership, research, education and advocacy. 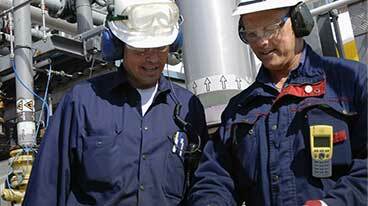 MATCOR has been an active member of the National Safety Council since 2008. MATCOR, Inc. is a leading cathodic protection and corrosion prevention engineering design firm, providing environmentally beneficial systems and services to global clients for nearly 40 years. 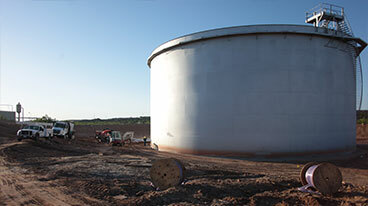 An expert in the field of cathodic protection, MATCOR offers proprietary corrosion protection products, installation, cathodic protection testing, maintenance and complete corrosion protection project management. MATCOR specializes in protecting the infrastructure of the oil and gas, electric utility, transportation and other infrastructure industries. To learn more about MATCOR, visit the new website at matcor.com or call 800 523 6692. Five months after Santa Monica fenced off the Civic Center’s chain reaction sculpture, a team of structural engineers next week will begin performing tests to make sure the 26-foot-tall iconic art work made of chain link is structurally sound. Experts will inspect the internal armature for corrosion or other problems and lab tests will be conducted on fiberglass and concrete samples, as well as on the chain segments that clad the sculpture and their fasteners, City officials said. Before the inspection and testing, conservators will “carefully document and catalog the segments of chains in the selected sample areas, then they will carefully cut out the area designated as the entry point for the internal inspection,” officials said. The testing comes after a “highly skilled team of professionals” devised a plan to “gather adequate information while doing everything possible to preserve the integrity of this important work of art,” officials said. Concerns that the monumental public sculpture of a nuclear mushroom cloud by Pulitzer-prize-winning cartoonist Paul Conrad could pose safety issues surfaced in June, when City building officer Ron Takiguchi saw children climbing the 20-year-old sculpture. Takiguchi found that “many of the fasteners which attach the copper tubing chain to the fiberglass core are missing or not fully imbedded, and some exhibit severe corrosion,” the statement said. Made of copper tubing over a fiberglass core, the sculpture’s internal frame is made of stainless steel and rests on a concrete base. City officials them hired experts to research the fabrication of the work who interviewed a number of the people who originally worked on the sculpture and notified the artist’s family. After the tests are completed the City will develop a plan for the future of the work, which was a gift to the City that was narrowly approved by City Council by a 4 to 3 in 1990 after two years of public process and debate. The work, which was initially turned down by the Beverly Hills Fine Arts Commission, was funded by a private donation to the Santa Monica Arts Foundation. Five years before Quebec closed part of the Mercier Bridge due to dangerously deteriorating steel plates on the span’s provincial side, an inspection found plates on the federal side were corroding and had to be replaced. The report said repairing the plates – steel connectors that hold together the bridge’s girders and beams – should be a top priority. The inspections were commissioned by Jacques Cartier and Champlain Bridges Inc., which owns the federal side of the Mercier. Ottawa reinforced about 50 gussets in 2008, replacing two and repairing the rest. Meanwhile, Quebec, long criticized for neglecting transportation infrastructure, decided not to do work on its gussets. The Mercier’s federal half was built in the late 1950s, while the provincial part that was closed for gusset repairs went up in the early 1930s. The 2006 report, by an engineering firm, paints a troubling picture of the Mercier at the time. For example, it warns the bridge’s side curbs and median were so deteriorated that cars that accidentally plowed into them could be launched into oncoming traffic or off the bridge. Follow-up federal inspections in 2007, 2008 and 2009 also disclosed in response to the access-to-info request, found that repairs helped improve the overall condition of the bridge’s federal half. The disclosure that federal officials were advised about gusset deterioration as early as 2006 is another indication Transport Quebec may have missed crucial corrosion on the provincial side. If the deterioration had been caught earlier, traffic disruptions that affected tens of thousands of commuters during the Mercier closing could have been avoided. To fix its gusset plates, Transport Quebec closed two of the Mercier’s four lanes on June 14. One of the closed lanes reopened Sept. 6. But, to allow for ongoing gusset work, the bridge still goes down to two lanes overnight and on weekends. All four lanes are to be permanently reopened by December. This summer, Quebec initially refused to make public the inspection of its side of the Mercier, finally relenting in September under pressure from the public, engineers, politicians and the media. In September, Transport Minister Pierre Moreau said provincial plates deteriorated “at a faster rate than what was expected” and the damage could not have been caught earlier. Independent engineers question this version of events, noting corrosion does not speed up. The first item on the list of top-priority repairs: gusset plates, which, the report said, should be reinforced by 2010. The report recommended close to $32 million in federal repairs. The $74-million federal expenditure is part of a $174-million Mercier overhaul that Ottawa and Quebec began in 2008 and that is to be completed by 2014. Quebec has not said how much it has spent on the project so far. The 2006 federal inspection was the last general inspection of the bridge.